Thanks to a successful Kickstarter, Little Legend will be made for Switch. Developer Nevermind raised €36,139 for its project and the campaign just ended a couple of days ago. Little Legend is an open-world 2D adventure in which players can craft their own magic abilities, craft and sell items in a shop, and more. We have more details about the game as well as a trailer below. 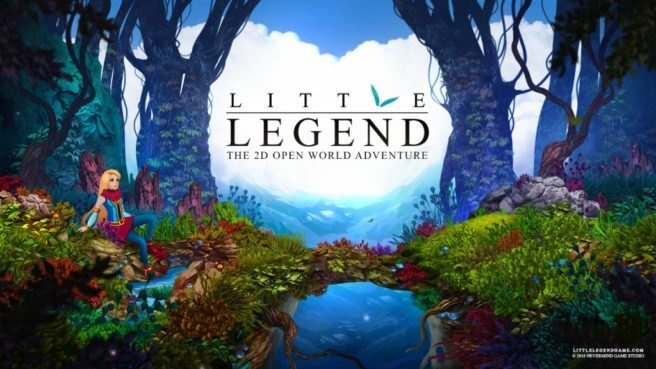 Little Legend is a 2D HD side-scrolling adventure game taking place in a dreamlike open world. You play as Pimpim, a young girl with supernatural powers who sets off to explore the world. You craft your own magic abilities, use them to explore a huge captivating world and follow a captivating story about the rebuilding of the universe. In Little Legend, nothing compels you to follow the main quest to explore the world, you can indeed freely wander around at your own pace at the beginning of the game. As you may have noticed, Little Legend is not a Metroidvania. The Magicraft mechanic gives the player the power to craft its own magic abilities akin to tools. We wanted to reproduce the same feeling of satisfaction as the one you get when you use a glitch in a video game to your advantage to reach the highest platform or pass through a closed door. We like when the player feels smart about discovering how to overcome an obstacle using its own way and not the one that was thought for him by the creators of the game. Little Legend is targeted for release in 2020. Learn more about the game on Kickstarter here.